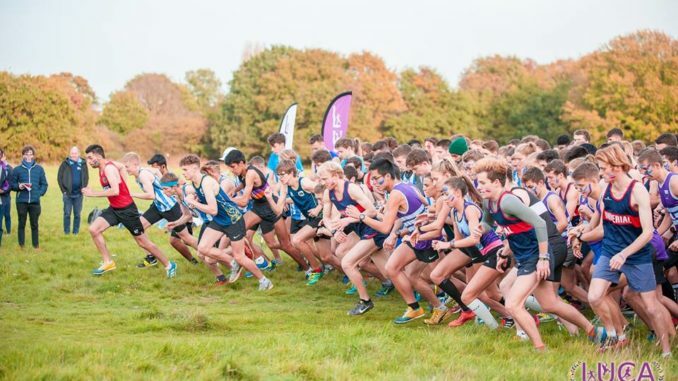 As the clocks go back and the cold hits (get those gloves out), we’re heading south to Mitcham Common tomorrow for the next round of the LUCA XC League. After a top opener at Parli Hill good numbers are expected again as clubs look to build on their first races. The last few races at Mitcham have seen some top quality winners: Max Nicholls and Paulos Surafel won in ’15 and ’16 respectively, whilst last year’s winner Euan Campbell was closely followed in by his St Mary’s teammate Dan Jarvis, the victor at Parli Hill. There’s generally a good St Mary’s turnout here so we might see some fireworks at the front. For the women, past winners include Amy Bond (’15), Emma Dixon (’16), and Brunel’s Phily Bowden last year. Katie Hughes will be looking to repeat her win from 2 weeks ago whilst others will be hot on her heels. After a clean sweep from St Mary’s in the first round, UCL’s men and Imperial’s women will be hoping for a slip up tomorrow – with gaps of just 40 and 14 points respectively just a couple of positions gained could be enough to tip the balance. Meanwhile teams such as King’s (5th/6th) and Reading (6th/7th), could push up the table with a good showing here. Anything could happen – just one place won in a sprint finish could make the difference. The big question – is it going to rain? Find more info including course map here.